In the last 5 years since mobile smart phones and tablets have become more common as devices of choice for users who are browsing for services and products online. Inception Web have been undertaking responsive web design projects in the last 5 years which makes us very experienced at deliverying responsive web design services in Brisbane and Queensland. We offer responsive web design and development services at affordable prices. We can help you get good-looking, responsive, multi-device responsive websites that not only look great but will help you get found and ranking higher naturally on the search engines too. A responsive website should adapt and display correctly based on the width of any web browser. Every device – mobile, tablet, laptop and desktop all have different width screens as a result responsive web design is essential. To test if your website is mobile responsive, try shrinking the window width, if it responds in your browser then your site is already responsive otherwise you can see that it won’t render correctly on most mobile and tablet devices. 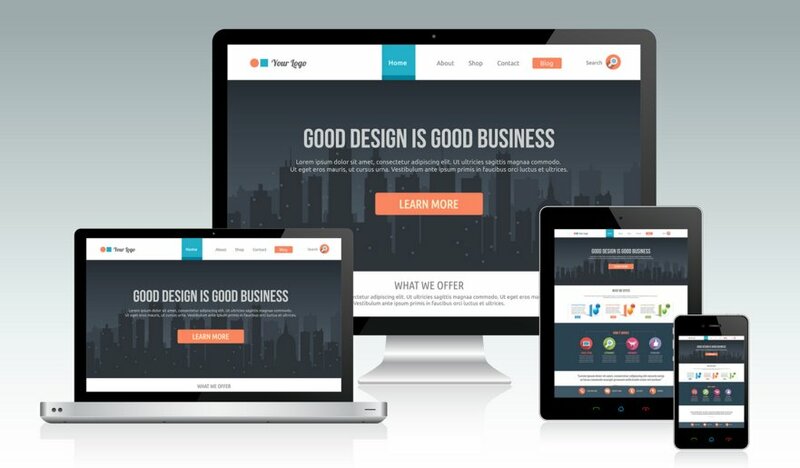 Having a responsive web design matters because more and more businesses are upgrading their websites to be responsive, so if you don’t have one you will fall behind. Having a responsive website which adapts to your user’s device means that you continue to maximise the usability and conversion potential of your website. Anyone who doesn’t have a responsive website can really be missing out on new customers, leads and sales. Poor non-responsive websites with poor appearance and usability can really deter users from making enquiries and finding what they want to buy on your website. Why have a Responsive Website and not Different sites for each device? Easier to manage – If you have a responsive website, you only have one website to manage rather than three websites. E.G. Imagine making an image change only once rather than having to make the change three times! All User Device Screen Sizes are covered – All size Offering your visitors a responsive web design means you cover every screen size from now to the future. Mobile and Tablet devices are changing their screen sizes all the time, look at how Apple and Andoid phones have screens ranging from 3.5’’ to over 5’’ now. Your responsive website ensures that users always view your website in an optimised view on their website maximising their experience and conversion potential. Better Organic Search (SEO) Rankings on Mobile Search – In early 2014, Google confirmed that mobile responsive, mobile-friendly websites would have more chance of ranking higher in mobile organic search results compared to those websites which weren’t mobile responsive and friendly. Increased conversion potentialfrom mobile devices– If a user is browsing your responsive website from their mobile or tablet, this improves the experience for the user. In turn this, maximises the chance of them making an enquiry or buying something through your website. Why use Inception Web’s Responsive Web Design & Development Services? Inception Web is different from traditional responsive web design and development companies. We genuinely take the time to understand your business in order to build the best responsive website possible. We aim to make a website that not only looks great but is going to get shelf-space in search engines, appeal to users once they reach your website and maximise the conversion potential to leads, enquiries and sales once people are on your website. Client Input – Whatever the web design or web development project, no matter how simple or easy we aim to work with clients to understand their needs and their business and requirements. For us this is vital to providing web design that our clients want as well as designing a website that looks great and will convert users once they arrive on your website. Staged Responsive Web Design & Development–Before a website goes live, there are several stages of the web design and web development. At each stage our clients get the opportunity to give their input to ensure that they are completely happy with the product before they sign-off each stage and the final website design and development. Wealth of Experience– We have collective experience of web design & development spanning over 10+ years. We’ve worked on various projects rankings from B2C, B2B, eCommerce, Affiliate sites and more. If you need responsive website design services or web development of an online project, please get in touch with one of our experts in Brisbane, Queensland.